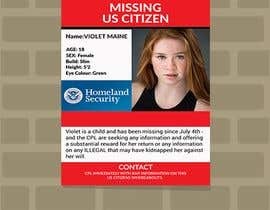 Looking for a design on a missing poster. 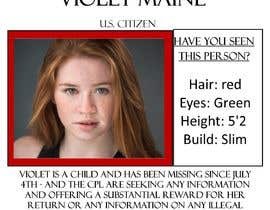 Have a look at the attached design as a template. 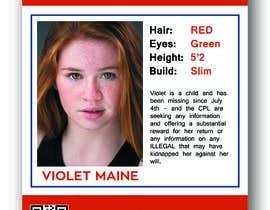 Also attached is the Girl. 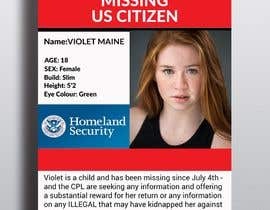 We will need this in a PDF A4 for printing. 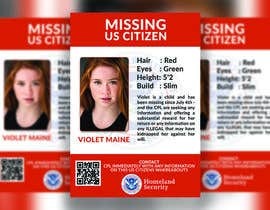 It's a prop for a film. 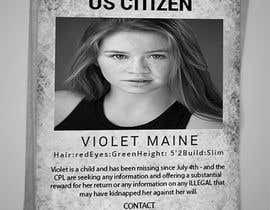 I'd like to ensure that the flyer has a barcode or something that a cell phone code read (doesn't have to work) and also the attached logos. 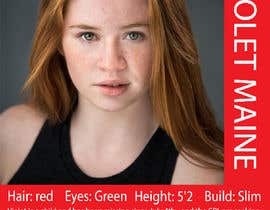 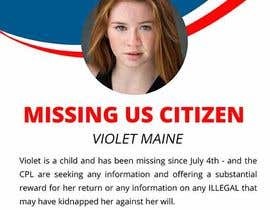 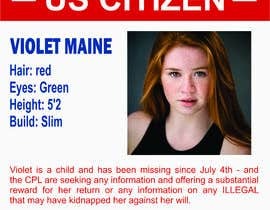 Violet is a child and has been missing since July 4th - and the CPL are seeking any information and offering a substantial reward for her return or any information on any ILLEGAL that may have kidnapped her against her will. 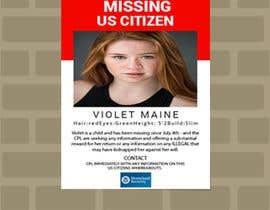 CONTACT CPL IMMEDIATELY WITH ANY INFORMATION ON THIS US CITIZENS WHEREABOUTS.